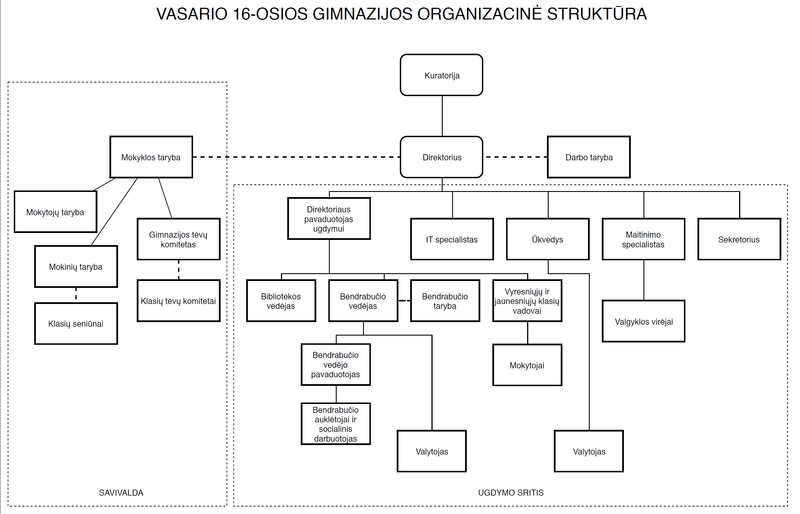 Welcome to the website of the Lithuanian High School in Germany—known in German as the Privates Litauisches Gymnasium and in Lithuanian as Vasario 16-osios gimnazija. In Lithuanian the name refers to the founding of the Lithuanian Republic on February 16 (vasario 16-oji), 1918. The Lithuanian High School is the only full-time, state-accredited Lithuanian educational institution in Western Europe. 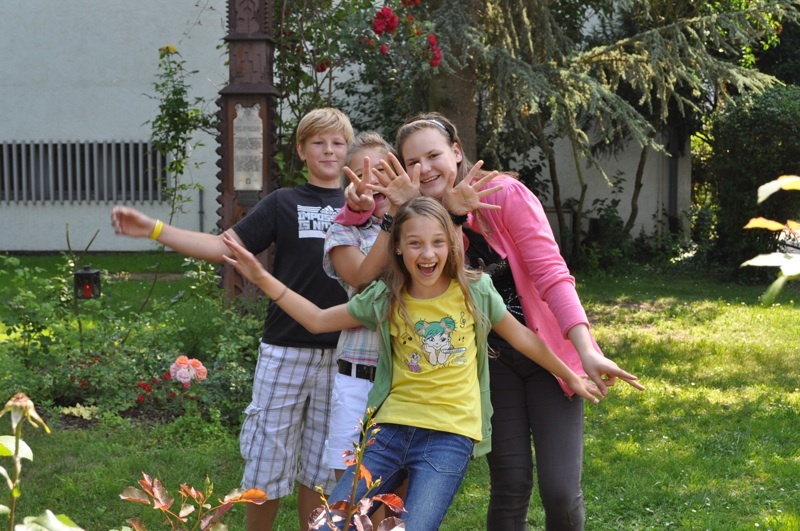 Students from all over the world come to this unique place to learn Lithuanian or to refresh and improve their Lithuanian language skills. Here they can acquaint themselves with Lithuanian history and culture in the context of European history and culture and meet others who share their interest in Lithuania’s heritage. In addition, students study the German language and culture and enjoy the opportunity to learn and live in the heart of Western Europe. Established in Diepholz in 1950 as a private school for children of Lithuanian refugees, the Lithuanian High School was relocated to its present twelve-acre campus in 1954. 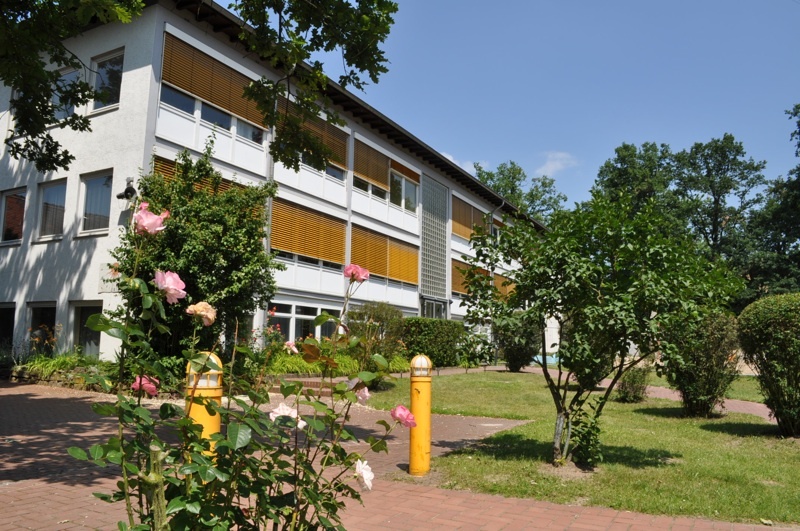 Nestled in the lush greenery of Rennhof Manor Park in the town of Hüttenfeld, the school is just minutes away from the beautiful Bergstrasse—an old Roman trading route that runs along the Odenwald Mountains and connects the cities of Darmstadt, Heppenheim, Weinheim, and the famous university town of Heidelberg. The area is home to dozens of historical landmarks, including the Lorsch monastery (designated by UNESCO as a world cultural heritage site), the Cathedral of Worms, Castles Frankenstein, Wachenburg, and Starkenburg, and, of course, Old Town Heidelberg. The region’s mild climate makes it ideal for agriculture and it is known, in particular, for its viticulture and wineries. The city of Mannheim is nearby and within an hour’s drive is Frankfurt, Germany’s financial capital. The Lithuanian High School has undergone several major expansion and reconstruction projects since its founding. These have transformed the campus into a modern educational facility that accommodates up to 90 students in separate boys’ and girls’ dormitories. Students are supervised by a staff of 30 teachers and administrators. 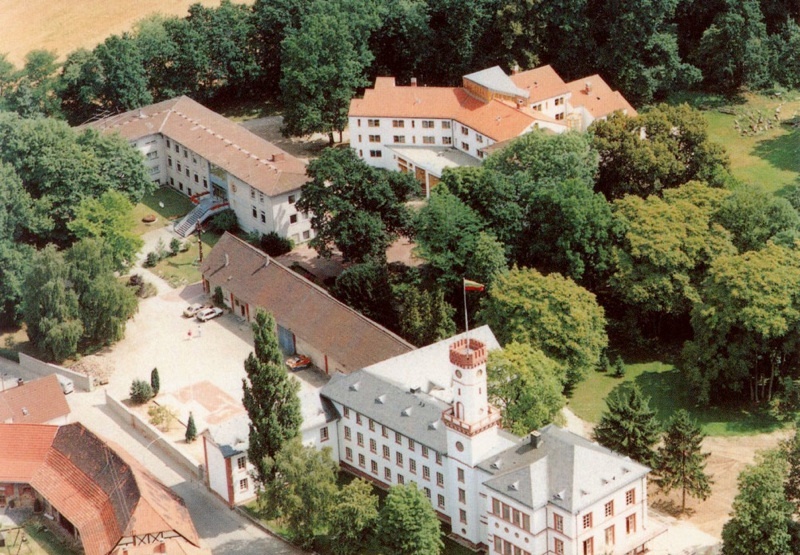 In addition to the dormitories, the campus includes several classroom buildings, a student cafeteria, Rennhof Manor Park, and the refurbished Rennhof Manor House. 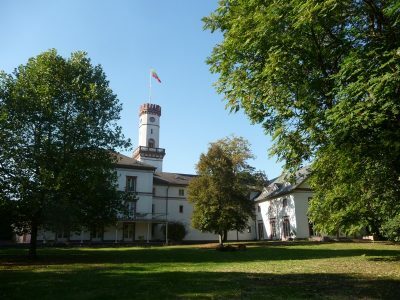 With its distinctive tower, the historic manor house serves as a focal point for the campus as well as the town of Hüttenfeld, and an elegant location for meetings and special events. Upon receiving full state accreditation in 1999, the Lithuanian High School opened its doors to German students as well, regardless of their ethnic background. Though the number of students of Lithuanian descent has remained constant over the decades, the total number of students has since doubled. 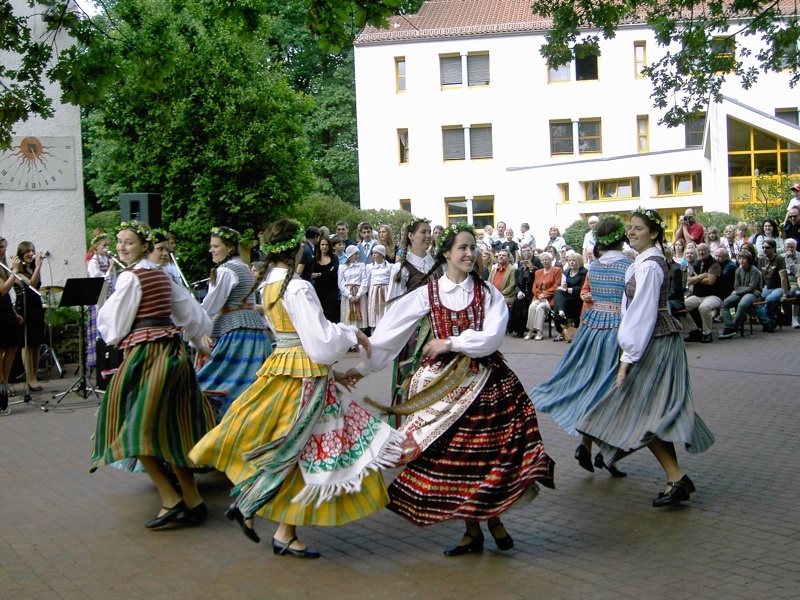 Students of non-Lithuanian descent who attend the Lithuanian High School participate in both in-school and extracurricular activities that familiarize them with Lithuania and its culture. Student life at the Lithuanian High School offers numerous opportunities for the kinds of interaction that promote solidarity and mutual understanding among students of diverse backgrounds. Consistent with the vision of its founders, the Lithuanian High School remains a place where young people are educated in the spirit of democracy, tolerance, and Christian values, with an appreciation for both Lithuanian and German culture and the European heritage both countries share.